It’s always normal to see devices from Apple getting covered in gold and diamonds but little do we see other companies having their devices dipped in gold. The new smartphone to get the honor of being in gold is the Samsung Galaxy Alpha which already comes in a metal design with the back and sides of the handset covered in 24 carat gold. The handset comes with the same specs as the original one which includes a super high definition super AMOLED 4.7-inch display, 8-core Samsung Exynos processor, 2GB of RAM, 12 megapixel rear camera and a 2.1 front facing camera. 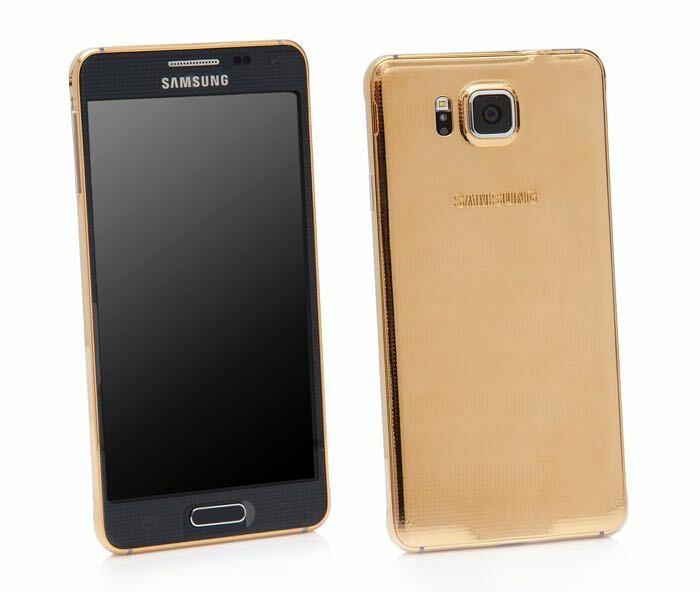 To know more about the gold Samsung Galaxy Alpha, head over to Goldgenie to have a look. Oh the price? Just £1,664 which is way above than the original device.